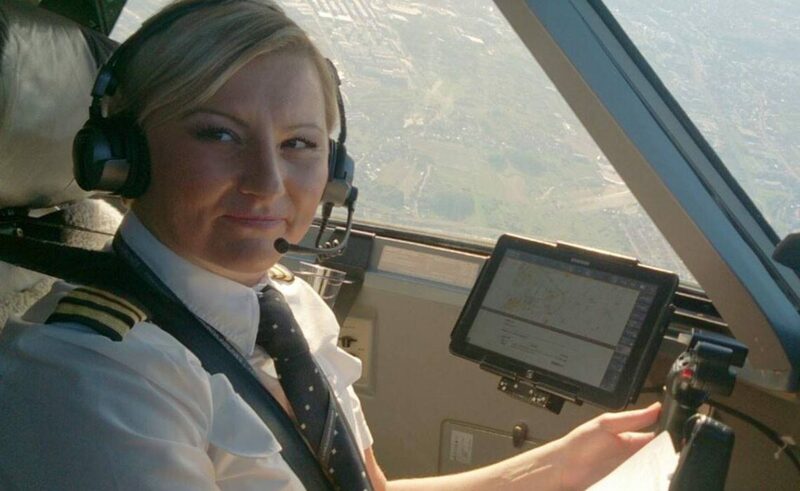 The Only Croatian Lady in Cockpit: Meet the Charming Pilot Kristina Mlinarić! ‘No, I’m not the first one, but at the moment I’m the only female pilot in Croatia’, she told us with a big, big smile on her face. Recently, we met Kristina Mlinarić, who is currently piloting the Dash8-Q400 plane, working for Croatia Airlines, Croatian flag carrier. We spoke with Kristina about her career, her family, and what it is like to be the only lady in the cockpit at the moment. And we had a great time with this charming lady! 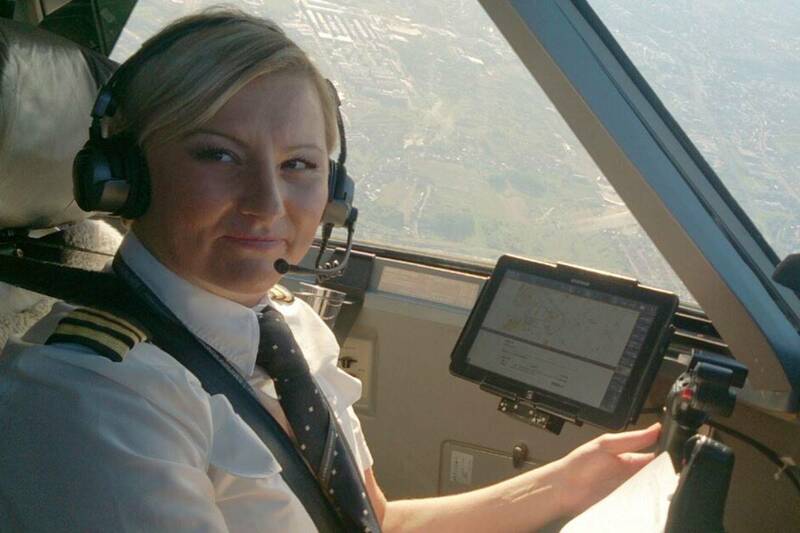 ‘I have two other female colleagues at Airbus, waiting their turn for become a captain. 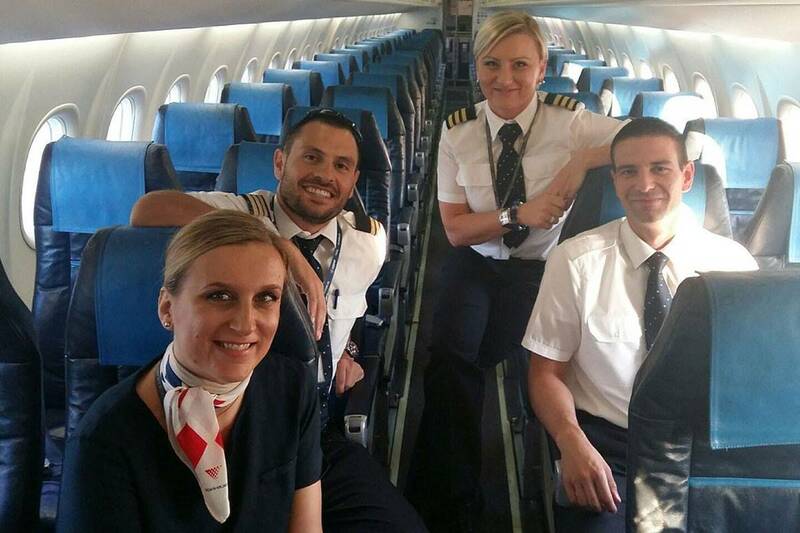 Yes , in Croatia is very unusual to see a female pilot, not because CA doesn’t want women members. 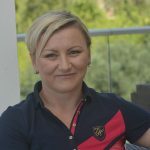 It’s because a small numbers of female students attend the Croatian Faculty of Transport and Traffic Sciences, or to be precise – the Department of Aeronautics for civil pilots’, she told us, stating that it is perfectly normal scene to see all-female staff in cockpit everywhere, but in Croatia, it is simply something out of interest of ladies. And what about family? ‘It’s a bit complicated’, she says, ‘but with well organized time, anything can be done, even piloting’. ‘I’m mama of soon-to-be four year old son, and my husband works at Zagreb Airport, but we don’t work from 8am to 4 pm. To be honest, a real family life begins during the holiday season! Lucky for us, we do have great babysitters’, she says laughing. A day as a pilot looks like…? Kristina recently returned from Canada where she was studying for the Dash8-400. ‘Students’ like Kristina were introduced to all types of weather conditions – except one, ‘the hardest’, she told us laughing again. ‘There is no such simulator that could simulate bura* in Dubrovnik! It really is a specific phenomenon. 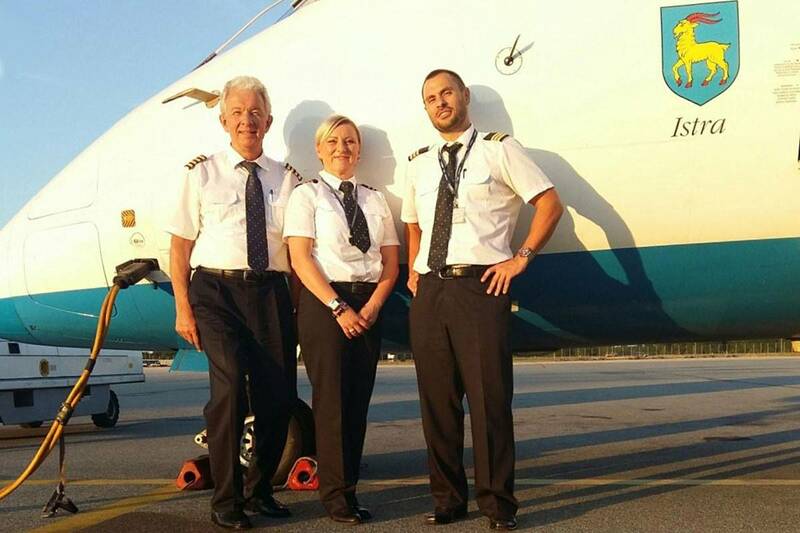 In fact, pilots from Croatia are very skillful, because Dubrovnik is our daily destination. 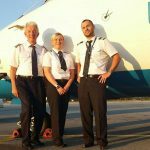 But other pilots who come to Dubrovnik make special checking. When you’re piloting during the ‘bura‘ (strong northern wind*), people are screaming, vomiting, shaking.. But every time, we land safely, so don’t worry’, she smiled again. And yes, every time the team gets a big, big applause! 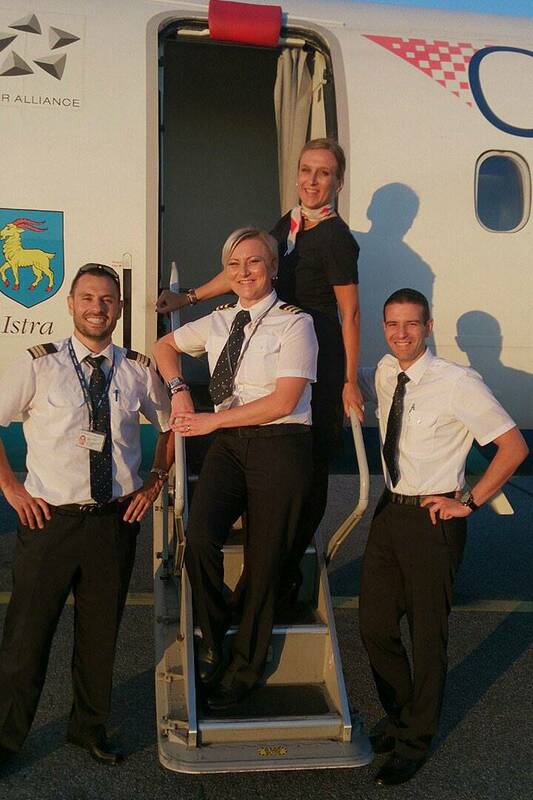 Kristina started her career in 2004. with the Grand school for Airbus in Croatia Airlines. From the ‘low experience’ pilot, she was flying as a co-pilot on Airbus 319/320. Following the senority list (rotation of the pilots and co-pilots) she became pilot, and currently she flies the Dash8-400 type.